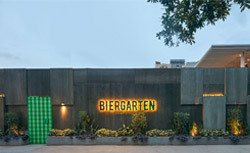 Biergarten is a microbrewery that celebrates the communal aspect of beer drinking. 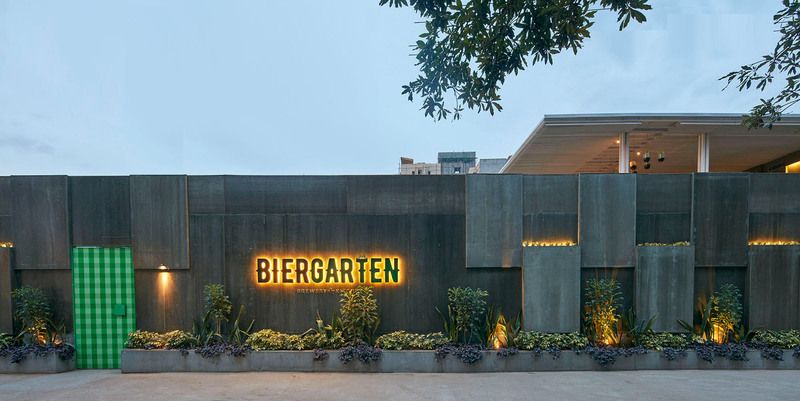 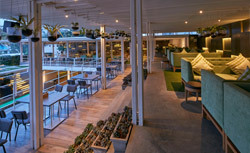 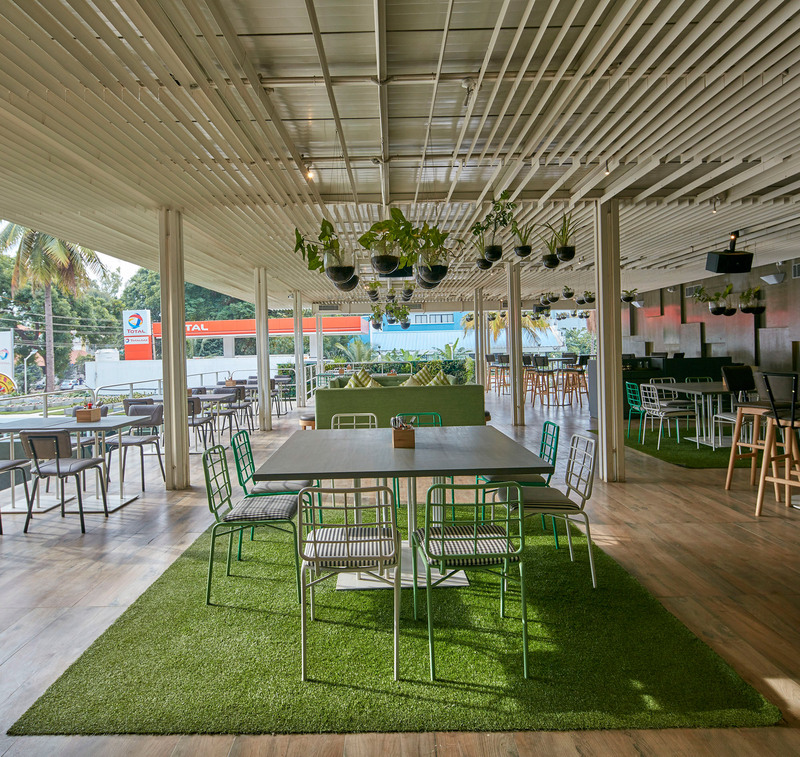 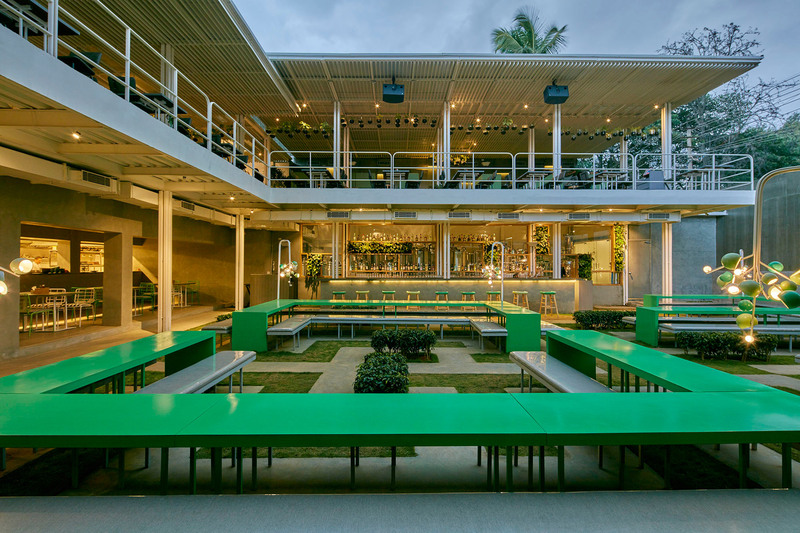 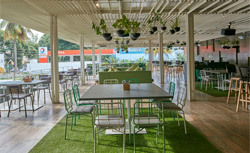 To design an outdoor brewery that had an old structure with a large front yard, was inspiration enough to take advantage of the open area and create a garden-like setting. 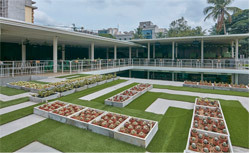 A metal structure was built around the existing building, designed such that all zones could visually connect to the central garden below. 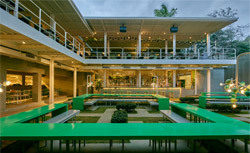 The layouts and overall design schematics for the space were developed using a 'maze' as a visual concept and construct. 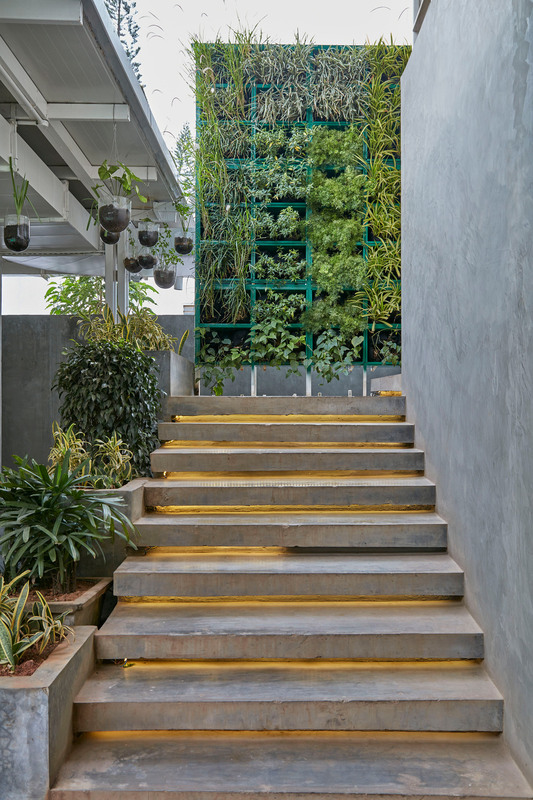 The feeling of lightness, freshness and greenery has been fundamental drivers of the visual. 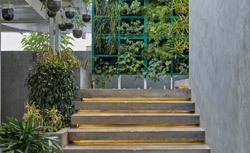 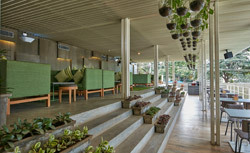 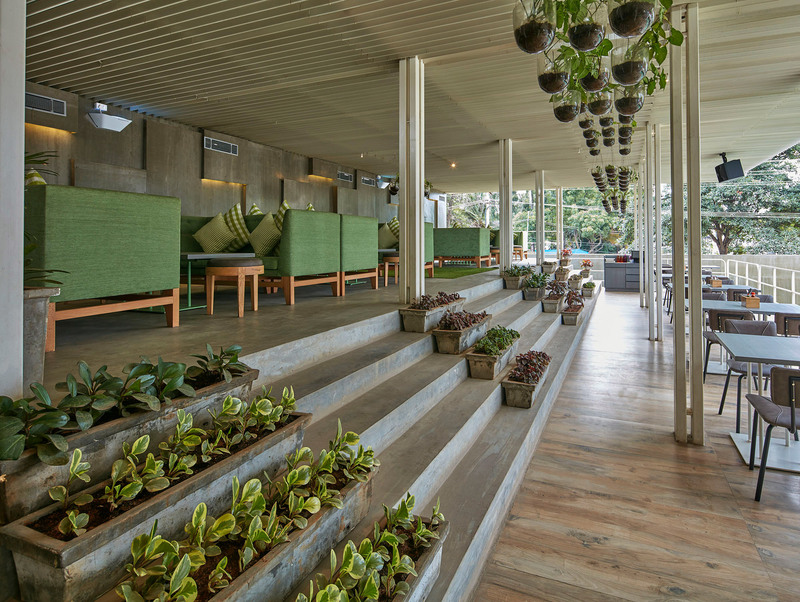 Cement planter boxes with cacti and plants are interspersed within the space. 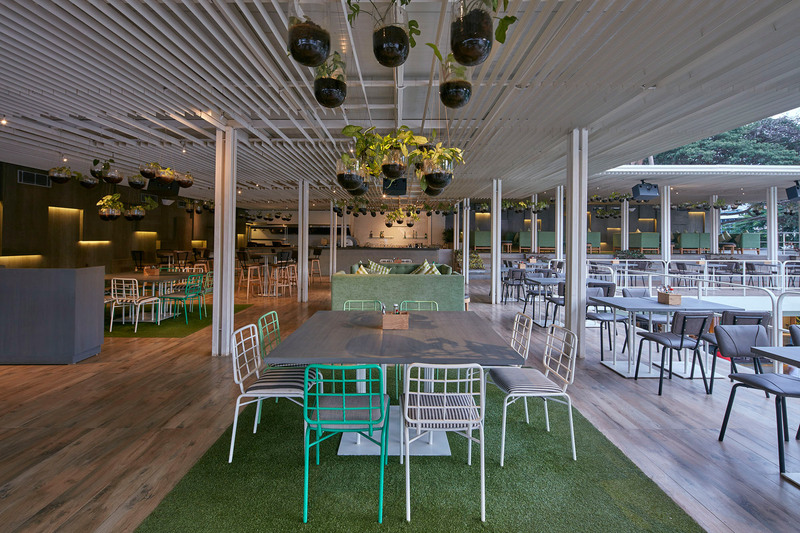 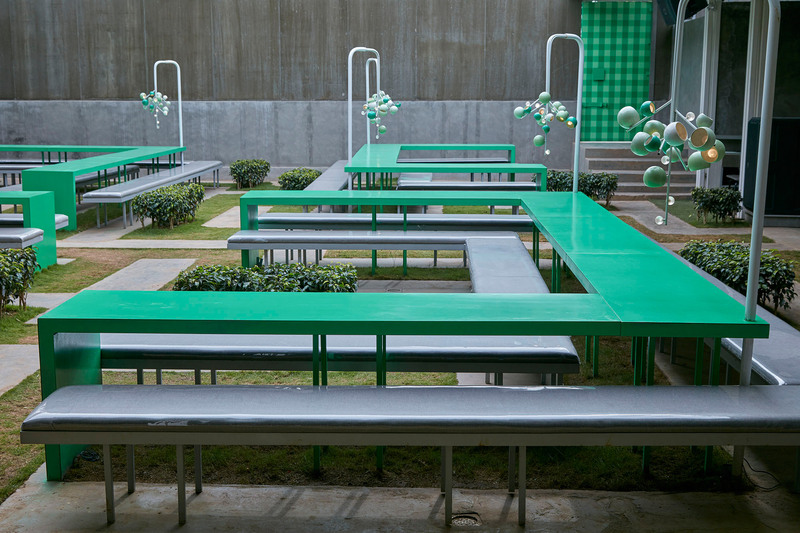 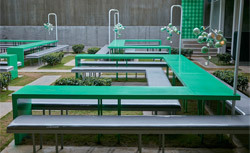 The furniture has been designed in metal & wood with prevalent shades of green and grey. 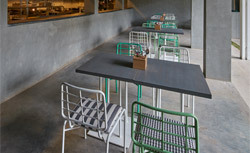 Also, black and white checks & stripes are used on the upholstery to add style and trendiness. 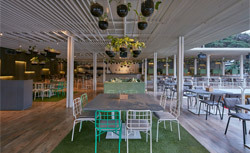 Custom lights inspired by berries, hang over the maze tables in the garden. 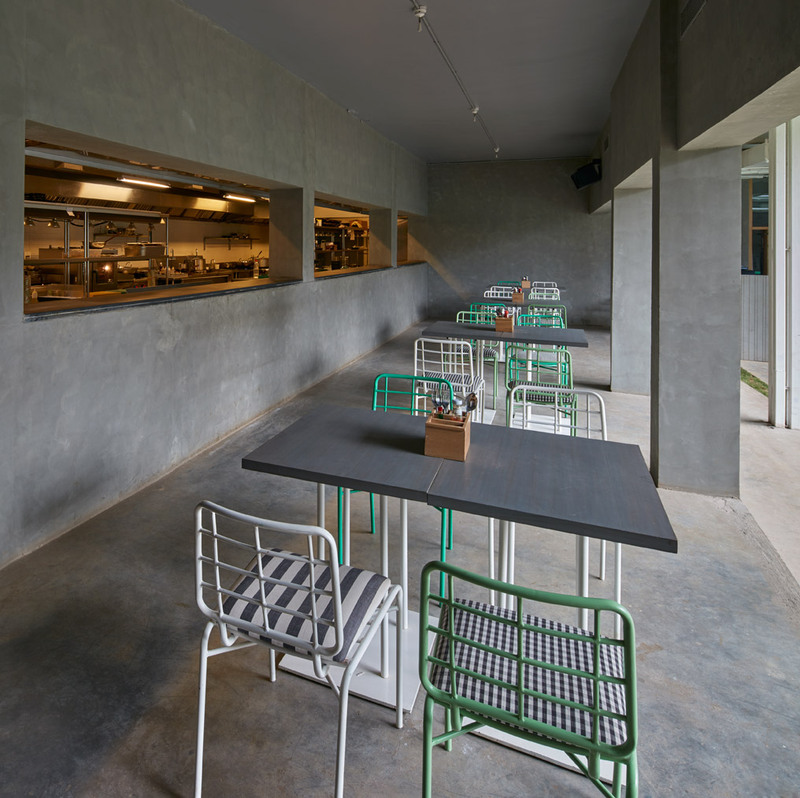 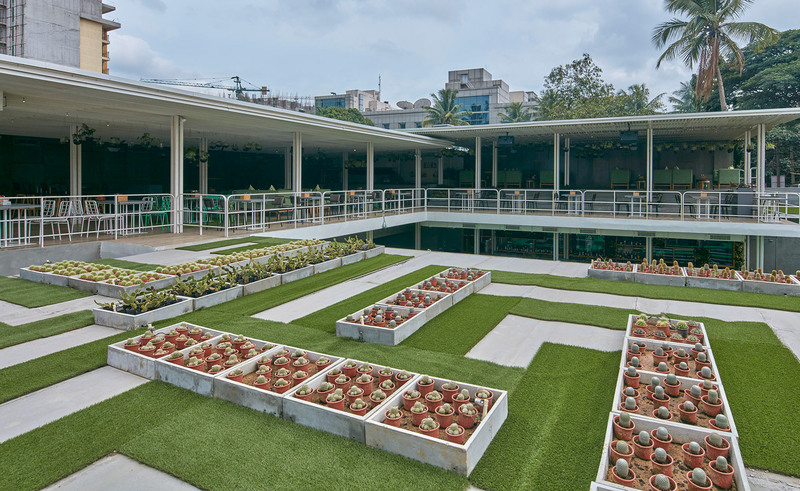 The overall palette of raw materials, cement and grass, provide for a casual and refreshing ambiance.